A look at the Saturday running of the inaugural Tough Mudder Sunshine Coast. Shot and edited by Patrick Williams. 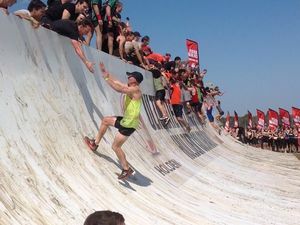 Adventure & Endurance POLE dancing has joined the Arctic Enema and Electroshock Therapy on the obstacle list for Tough Mudder at Caloundra next month. News TOUGH Mudder will return to the Sunshine Coast on August 16 and 17 next year. News SEE exciting footage of a day of action from the Sunshine Coast's first Tough Mudder.